The Center for the Southwest at the University of New Mexico announces the 2019 C. Ruth and Calvin P. Horn Lecture in Western History and Culture. Historians Annette Gordon-Reed and Peter S. Onuf will present "Most Blessed of the Patriarchs: Thomas Jefferson and the Empire of the Imagination," on Friday, March 29, at 5:30 PM in Pearl Hall's Garcia Auditorium. This event is FREE and OPEN to the public. See our Horn Lecture page for more details, and enjoy the PBS interview with Gordon-Reed below. Friday, September 29th, 2017, the Department of History is hosting the first annual Homecoming Lecture! This year's lecture will be delivered by Dr. Durwood Ball at 3:30 pm in the History Commons in Mesa Vista Hall. The Center for the Southwest is an institution devoted to the study of the region spanning the vast Mexican territories that became part of the United States by 1853. The Southwest is a terrain with deep and multiple histories, a complicated and volatile present, and remarkable potential. This region, comprising the whole of Texas, New Mexico, Arizona, California, Utah, and Nevada, and parts of Colorado, Oklahoma, Kansas, and Wyoming, has for millennia been home to shifting and contentious array of indigenous peoples. The Center for the Southwest recognizes this contested, layered past, linked with the larger histories of the Americas and the peoples who have survived, adapted to, and shaped repeated political upheavals. At the same time, we also recognize that the region has, for nearly a century and a half, belonged to the United States, and now encompasses the most dynamic, fastest growing part of that nation. We also seek to understand this region in the context of globalizing forces that at once disrupt and reinforce regional differences. Feel free to like us on Facebook for follow us on Twitter. 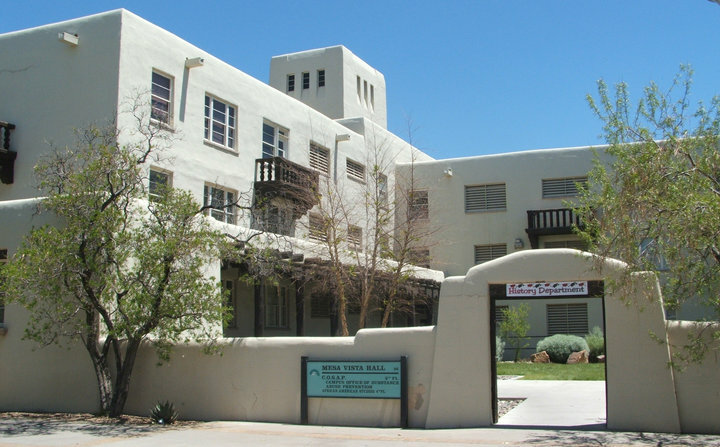 You can also contact us at cntrsw@unm.edu.